The ties between public health and industries like Big Tobacco, Pharma, and Soda are well known, especially in the US. Over the years, NPQ has written extensively about Big Soda’s connection to nonprofits and its role in influencing public policy (articles can be found here, here, and here). However, how large industries influence policy decisions in other countries is not as well known. Now, new research from Harvard University shows China’s efforts to address its growing obesity epidemic has been deliberately undermined by Coca-Cola. By developing connections with China’s leading health organizations, including the Chinese CDC and Ministry of Health, the company shifted the direction of obesity research in its favor. One of the company’s most significant tactics used to develop legitimacy was financially supporting the International Life Sciences Institute (ILSI). The organization, created in 1978 by Coca-Cola Vice President Alex Malaspina, aims to “provide science that improves human health and well-being and safeguards the environment.” The organization is fueled by snack food heavyweights such as Nestle, McDonald’s, Yum! Brands, and PepsiCo with far-reaching global influence due to the strategic placement of 17 branches across emerging markets like South Africa, Mexico, and India. 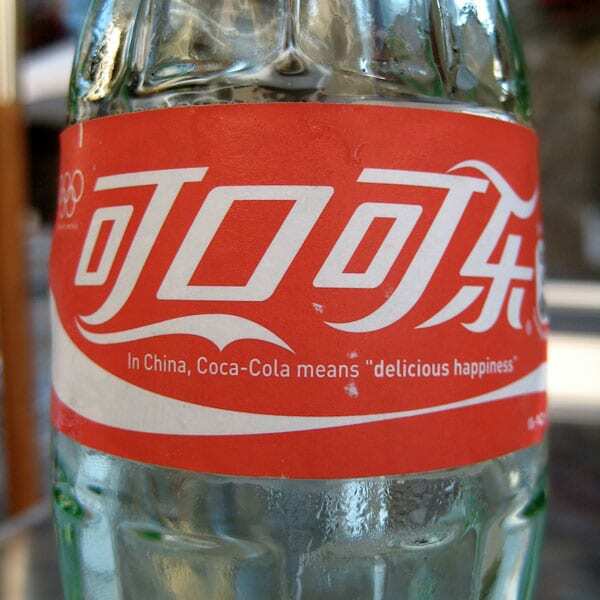 Coca-Cola entered the Chinese marketplace at an opportune time. In 2001, as the US Surgeon General sounded the alarm on obesity, consensus emerged in the public health community that sugar-laden drinks were part of the issue. As a result, policies such as soda taxes, bans on advertising to children, and public awareness campaigns were part of a comprehensive strategy to curb consumption—and it worked. In the US, overall soda sales are in steady decline. To make up for declining sales, Coca-Cola began extending its reach to emerging markets like China. The country was in the nascent stages of addressing obesity as a growing concern. With limited funding available to study chronic disease prevention and treatment, Coca-Cola stepped in to fill the gap. Through ILSI, the company provided research funding and sponsored conferences that aligned with the company’s corporate interests which allowed Coca-Cola to position itself as a charitable company and exert quiet influence on obesity science. As Coca-Cola’s influence increased, obesity research and policy markedly shifted with a predominance of research promoting the idea that physical activity was the most important strategy to combat obesity. National programs such as “Happy 10 Minutes,” a youth exercise program, was modeled after the company’s “Energy 10” program. Other national campaigns such as “Energy is Medicine” and “Healthy Lifestyles for All” were also the result of Coca-Cola’s funding. Company-approved language such as “energy balance” and “healthy active lifestyles” became commonplace in public health lexicon and coincided with the company’s belief that inactivity, not diet, is the main cause of obesity. Conferences were overridden with Coca-Cola’s views as well. During the time period between 2004 and 2015, ILSI hosted six international conferences on obesity. While Chinese researchers and clinicians might have believed they were being presented with best practices in alignment with US standards, this was not the case. The research found that every ILSI-sponsored conference was stacked with experts who had financial ties to Coca-Cola or ILSI. While researchers were not explicitly told that alternative views would not be supported, ILSI was unlikely to introduce research contradicting Coca-Cola’s company line. In fact, from 2010–2015 two-thirds of the research presented emphasized physical activity. Despite nutritional approaches such as setting dietary guidelines, providing nutritional education, and promoting healthy foods being included in national plans, such approaches did not receive similar levels of corporate or government support. This is not the first time Coca-Cola has used nonprofits to shield its true intentions. In the US, the company partnered with scientists to create the Global Energy Balance Network to promote exercising as the solution to obesity. However, the organization disbanded after an explosive investigative report by the New York Times. Since that time, the company has pledged to be more transparent in its grantmaking processes by listing grant recipients on its website however, this transparency does not extend to corporate sponsorships. There is now no immediate possibility the government will regulate food, beverage, or sugar in the way countries globally are beginning to work to create healthy diets and address not only obesity but all diet-related noncommunicable diseases. I believe ILSI’s influence in promoting the physical activity agenda was extremely detrimental and put China decades behind in efforts to create a healthier diet for its citizens. The tangled web between public policy and Coca-Cola serves as a reminder to frame early: Whoever frames the dominant narrative frames the solution. In this case, Coca-Cola took advantage of a weakened public health bureaucracy, limited research funding, and a pro-business culture to push its agenda and shape national discourse. Consequently, the notion that physical activity is the primary solution to obesity is deeply entrenched in Chinese culture. Greenhalgh found that within the country’s public policy plan, Healthy China 2030, the majority of health targets focused on increasing physical activity while newer perspectives such as regulating the food industry were not included. Moreover, the terms “energy balance,” “exercise is medicine,” and “eating and moving in balance” are frequently mentioned throughout showing the insidious nature of Coca-Cola’s influence. In spite of increased health care coverage in the US, social determinants have an outsized impact on population health.